Cut fruits into bite-sized pieces and place in a large bowl. Mix together rum, honey, lime, and coconut water and pour over the fruit. 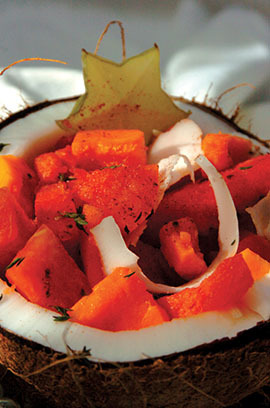 Refrigerate for 2 hours then serve in coconut shell (if desired).